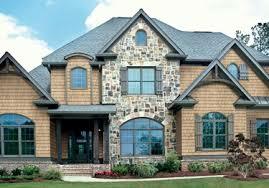 Brick and stone are two of the oldest types of siding in use and for good reason. Both look good are long lasting and require minimal maintenance. The cost of materials and installation are substantial but certainly justifiable considering the low maintenance, long life and high investment retention values. Usually only chosen for new construction these types of siding must be supported by the foundation and for this reason are rarely used in re-siding projects. There are several engineered products now available that closely emulate brick and stone and which are much thinner and lighter. This allows for support by fastening to the wall framing and makes them suitable for residing projects. 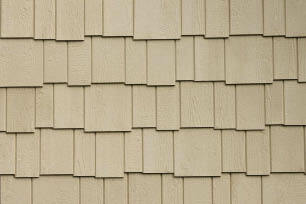 While no t as popular as in the past, wood siding is still a common choice for many types of homes. Available in multiple species, profiles and finishes wood siding can project a sense of style ranging from quaint country charm to refined elegance. Costs can vary substantially depending on the species and profile. Most wood siding must be painted, stained or sealed to protect it from the elements and maintain it’s aesthetic appeal, making it one of the higher maintenance types of siding. 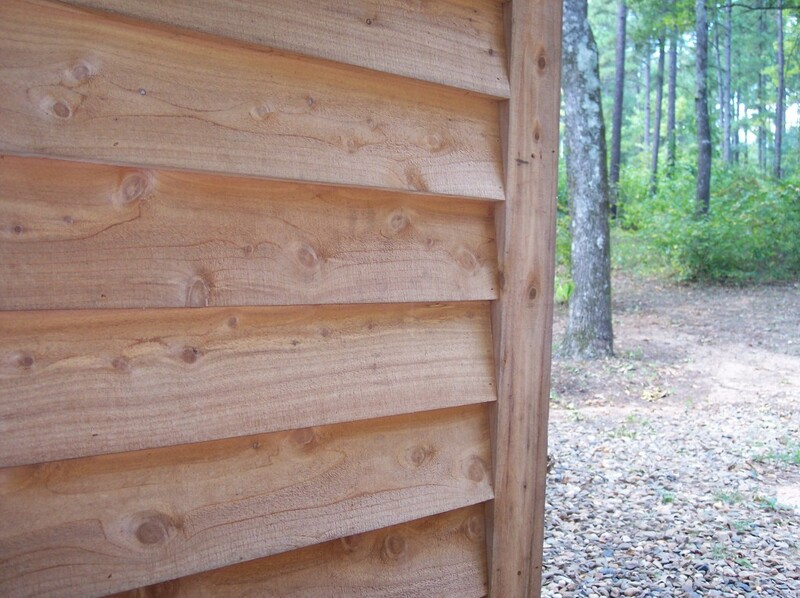 If properly maintained wood siding can be very long lasting. As the name implies this product is made from cement along with sand and cellulose fibers bonded together using high pressures and temperatures. Fiber cement sidings are very durable products that are not susceptible to burning, rot or insect damage. If improperly installed or maintained it can retain moisture, which may encourage the growth of mold and mildew, but this is not a common problem. Fiber cement sidings are available in a wide variety of sizes and profiles including multiple lap profiles as well as plywood sized sheets and various shingle or “shake” profiles. Painting is required but as it is largely for aesthetic value, longer intervals may be allowed between coats than is permissible with wood and some engineered types of siding. Most manufactures offer a version that is pre-painted and features a modest color selection and warranty. 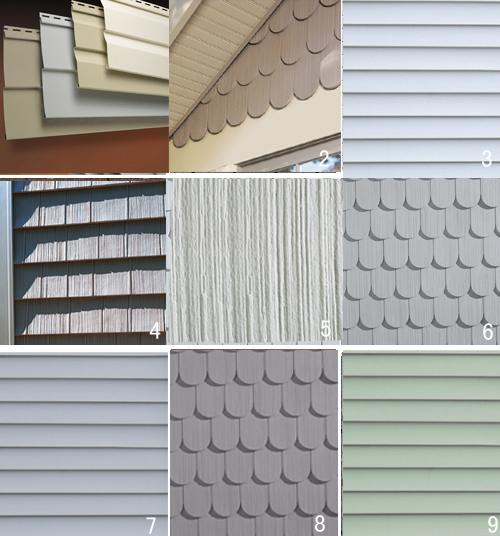 Vinyl siding is available in a multitude of sizes, profiles and colors and remains a popular choice for new and residing applications. Additionally there are extensive matching accessories for vinyl siding such as shutters, door and window mantles and surrounds, dental molding, crown molding, ceiling panels and medallions, louvers and various other trim and accent pieces It is durable and easy to maintain, usually requiring only occasional rinsing to remove dust and dirt or power washing to remove mildew on areas that receive minimal sunlight. Improper installation by unskilled or unscrupulous contractors has led to an undeserved decline in vinyl siding’s popularity. By hanging it too loose, using too few nails and improperly installing or altogether omitting required flashing, the integrity of many homes has suffered. Loose or missing siding and trim after storms or structural damage where water has infiltrated behind improperly flashed and sealed siding panels occurs far too often and in the majority of instances could have been prevented by sound installation practices. Obviously choosing a competent and contentious contractor is essential in realizing the full potential of vinyl siding in protecting your home. The list of engineered sidings is constantly changing as new and different materials and manufacturing techniques are employed. 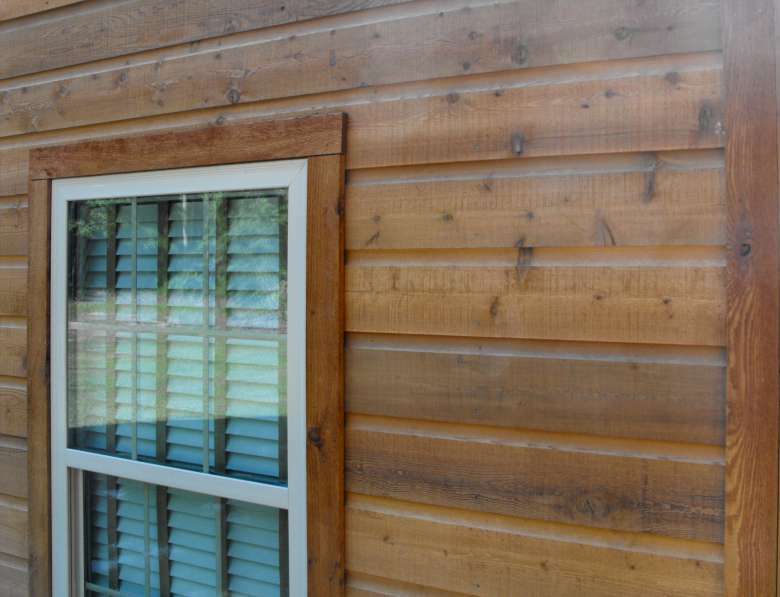 Products such as LP Building Products’ SmartSide line of siding and trim are made by compressing thin wood chips with a resin binder to make strong and resilient siding and trim. potential damage from rot or termites is mitigated using a zinc -borate treatment during the manufacturing process. 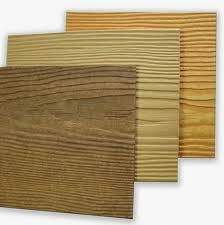 Engineered wood siding is available in several widths and profiles of lap siding as well sheets. The appealing selection and impressive warranty makes this type of siding a strong competitor for both the new construction and re-siding market. 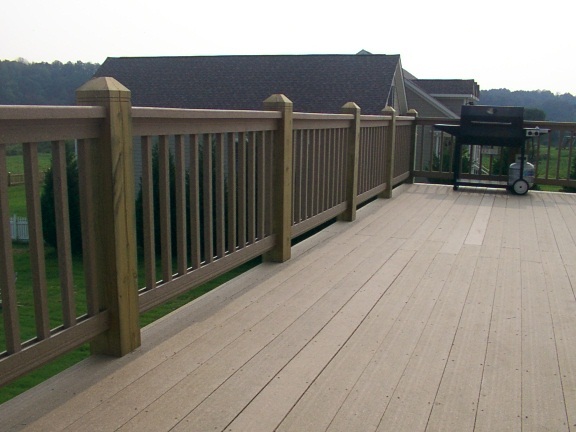 In the past, some engineered siding brands suffered problems such as swelling, delamination and decay resulting in lawsuits and the discontinuation of some brands. Engineered wood sidings are now fully accepted and integrated in the building industry, however it is advisable to research each of the types of siding that you may consider using to determine it’s suitability for your siding project. 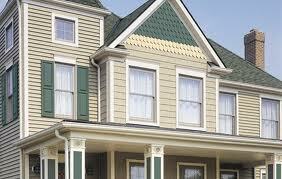 Regardless of the type of siding you choose, proper installation is essential. 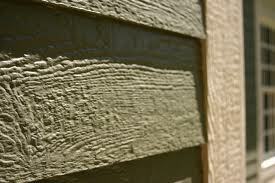 Each type of siding has unique installation requirements. 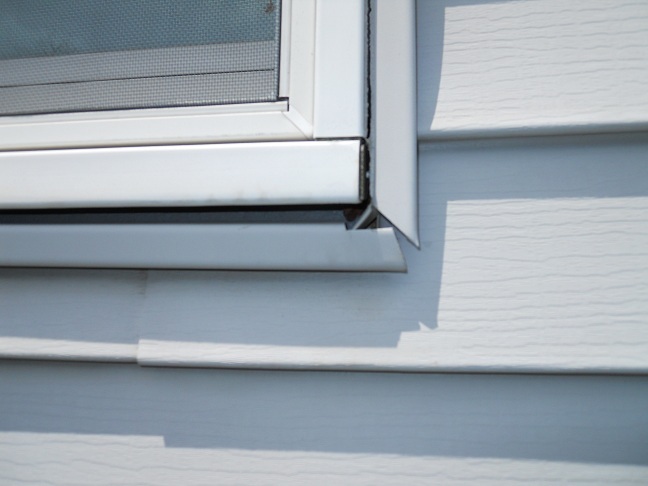 Failure to follow the manufacturers installation guidelines will not only void your warranty it may allow water to infiltrate behind the siding causing damage to your home.